Wednesday at 7:02 a.m. marked the first day of spring here. And all around town, there are signs of rebirth, including the Cherry Blossom Festival. Downtown, there's also a new, long overdue move to reinvigorate Franklin Park, a nearly five-acre rectangle along K Street between 13th and 14th streets NW. The late public relations maestro Art Schultz helped drum up considerable improvements long ago. But the park now is a popular site for meal programs for the homeless. Its benches and walkways are providing places to rest and sleep. 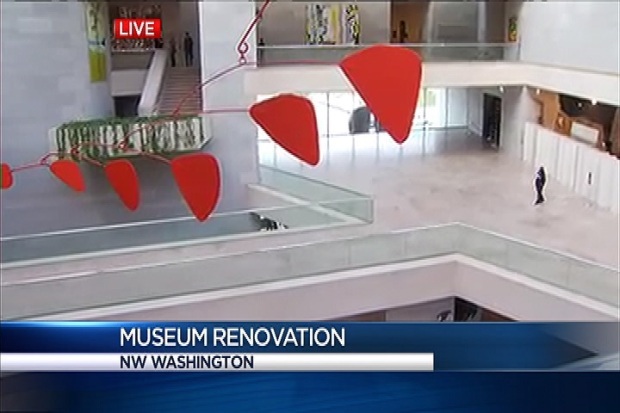 A $30 million renovation is being planned for the East Building of the National Gallery of Art. The construction will begin in January and will add an extra 12,260 square feet. But it should not be just a gathering space for social services. The park is under the jurisdiction of the National Park Service. Now the District government and Park Service are planning to hire a distinguished landscape designer to redo the park, as first reported by the Washington Business Journal. A release said the goal is to make it a "premier active, flexible and sustainable urban park connected to its community." Megan Kanagy, who works with the Downtown Business Improvement District, added, "Our vision is that we want to turn what is currently an eyesore into an asset for the adjacent properties and the properties within the vicinity." There's no early word on contract scope, cost or time. But it's a breath of spring for this grand space. ■ National Gallery of Art. If you like the East Building of the National Gallery, you had better make plans to visit soon. The exterior of the gallery has been undergoing a corrective repair, but now the insides in January 2014 will close for up to three years of massive renovations. Some of the space will start closing down sooner, beginning in July. It's all part of an effort with private donations to add an additional 12,260 square feet of exhibit space within the gallery, an outdoor sculpture terrace and "two flanking sky-lit interior Tower Galleries." The $30 million project is funded by civic-minded philanthropists, including Victoria P. Sant, gallery president; her husband Roger W. Sant, a member of the gallery's trustees' council; Mitchell Rales, a member of the gallery's board of trustees; his wife Emily Rales; and David M. Rubenstein, co-CEO of the Carlyle Group, a D.C.-based global alternative asset manager. ■ Downside of spring. Any police department will tell you that warmer weather can bring an increase in crime -- robberies, thefts, shootings and assaults. In the early morning hours of Monday, March 10, there was a burst of gunfire on N. Capitol Street within sight of the U.S. Capitol to the south. Police reported 13 people were wounded. Fortunately no one was killed. The shooting took place outside of a highrise public housing project on the west side of North Capitol. The location is notable because the east side of the street is exploding with new development: new restaurants, a Harris Teeter grocery, offices and residential buildings. It is a gentrifying world far removed from the mostly young people who were out on the street at 2 a.m. that Monday. The incident occurred in Ward 6, home to D.C. Councilmember Tommy Wells, who chairs the Committee on the Judiciary and Public Safety. On WAMU 88.5's "Politics Hour," Wells called the incident a "Chicago, gangland-style shooting," adding, "that's just not who we are as a city anymore." Some citizens criticized Wells for too quickly blaming two nightclubs in the area for generating the shootings. Wells backed off that idea pretty fast, but he kept to his main point that no neighborhood should live in fear of driveby shootings. The incident also created something of a pre-campaign dust-up between Wells and Mayor Vincent Gray. Despite the location and number of people shot, Mayor Gray chose not to go the scene. 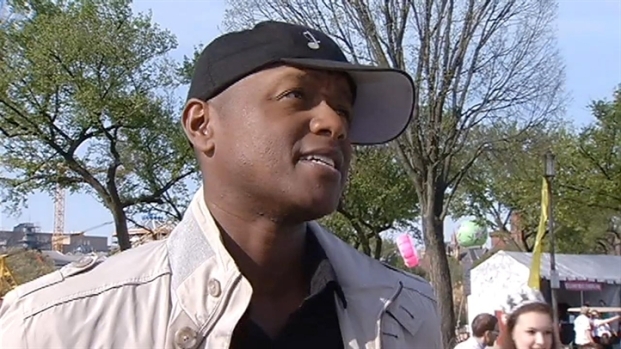 Gray told NBC4 that he would let Police Chief Cathy Lanier "do her job." Gray's press secretary Pedro Ribeiro bluntly called Wells' visit "grandstanding." Wells responded on the "Politics Hour," telling host Kojo Nnamdi that he was the only elected official who visited the scene and that he had waited 24 hours to see if the mayor was going to show leadership. Wells said he went into homes and talked with scared citizens. "I don't know why they were shot," he said, "but I know they are my residents." In Gray's defense, he has recoiled at the antics of former Mayor Adrian Fenty, who regularly showed up at crime scenes. Fenty's defenders say it was a different time, and he was promoting crime-fighting that helped reduce violence in the city. Should elected officials show up at difficult moments like the shooting? Perhaps there is a fine line between staying away completely and offensive "grandstanding." Wells believes he stayed on the right side of that line. Voters can decide for themselves.